I was trying to catch up on my multiply.com friends (I already had 90 unread updates) and once again I became curious on what’s new in the lomo world. Unfortunately nothing has been updated as I back track the site of an online buddy. It must have something to do with film developing time (?). Since I’ve known digital photography and had eventually become an enthusiast or more aptly a fan, the discovery (thru time-killing-googling) of the lomo world never fails to fascinate me. I always wonder who in their right mind would buy an old film camera, spend money, of course, on films and then take the pain to queue at the developing centers and go back to get it at least an hour later. Some of the reasons I can think of are: they have friends in that store, they own the store, they haven’t heard of digital cameras yet. Cost is not in my list. Some of the old film cameras are more expensive than their digital counterparts. Soon after I realized that embracing the old stuffs is not new (pun intended). 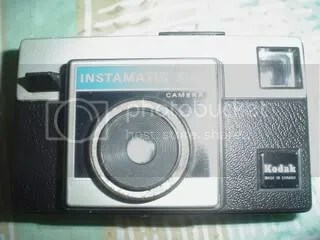 There are things such as retro, new wave (ironically this genre is already old music), vintage, classic…and yes, lomo. If necessity is the mother of invention, then scarcity is the mother of re-invention – either of which will bring profits to the inventor and “re-inventor.” Moolah. Some people are just born to sense that something is becoming scarce (and still needed) and have the ability to make the most out of it. And I’m not talking about hoarders. I’m talking about those people who value their things well and still believe in its potential. For lomo, it’s the potential to bring the feeling of nostalgia. It’s the potential to break away from the rules of photography. That’s what I find good about lomo. It technically doesn’t have any rules. It’s photography’s “rebel without a cause.” And these cameras are deceiving. That is, they look like your typical yaya’s day-off cam but it can capture good photos if you know how to deal with it. It’s funny but I actually tried looking for our old rusty film camera at home (while on vacation on Dec ’07) thinking that I can still use it. My excitement died down when I discovered that it uses a film that made the photo center sales lady smile when I inquired about it. She must be thinking I’m from out of this world. Ti abi. I think I’ll have to get my dose of lomo from those who are into it already just like I leave my craving for digital quality shots to my DSLR-addicted friends.